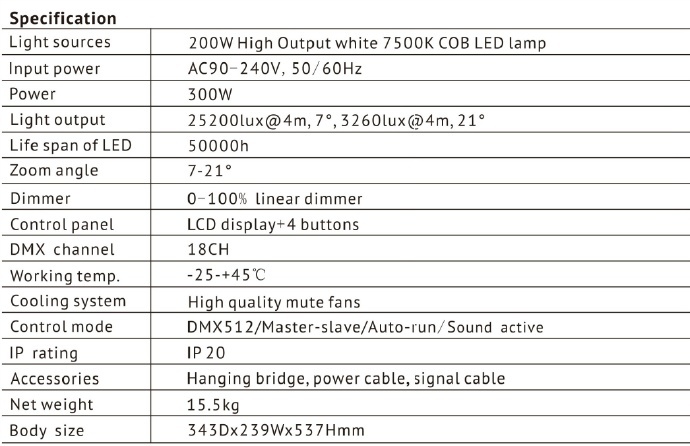 Categories: Performance Light, LED Moving Head Light. Tag: LED Moving Head Spot Beam Wash Light. For the high power LED Spot Light need for the stage performance, we have designed this 200W LED Moving Head Spot Beam Wash Light. Its brightness is very near the traditional 280W Moving Head Spot Beam Wash Light, it’s powerful and wonderful. This is your best choice for the stage lighting performance. 0~100% linear dimmer, strobe speed adjustable.